Begraafplaats Crooswijk (Crooswijk Cemetery) was founded in 1832. In the early nineteenth century, cemeteries near churches were full and new cemeteries had to be built throughout the city. Begraafplaats Crooswijk is one of the earlier examples. 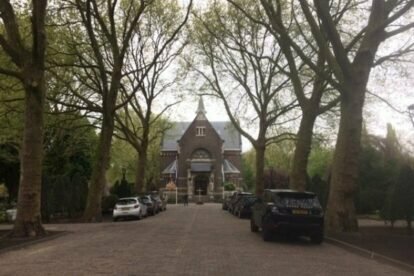 A number of people who died during the Second World war are buried at this cemetery: some 115 Dutch marines, sailors and soldiers who, during the invasion, gave their life to defend the city. There is also a field for foreign soldiers who died in or around Rotterdam and they are remembered by a memorial. Some victims of the bombings (1940 and 1943) are buried there as well. But, it isn’t solely a cemetery for the victims from the war. The cemetery is still in use today and even has an Islamic part were people can be buried within 36 hours. Begraafplaats Crooswijk is a green oasis and it is one of those places where I feel serene and at peace the moment I enter. It is remarkably large with beautiful trees and buildings. For me, it is a good place to enjoy the silence and remember my loved ones. Even if they aren’t buried here. The cemetery is easy to reach from the Central Station. All you have to do is take bus 38 (direction Crooswijk, stop Kerkhoflaan) or take tram 8 (direction Kleiweg, stop Zaagmolenbrug and walk a few minutes).